Mull has many world reknowned features - Iona and the majestic abbey, Staffa and the incredible Fingal’s Cave, and the remarkable Treshnish Islands to name but a few. 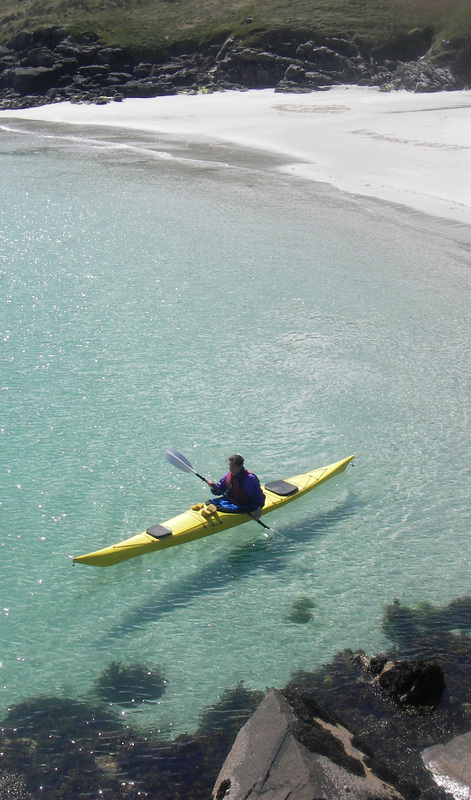 On this trip we will explore the southwest corner of Mull (Ross of Mull) with beautiful secluded beaches, high rocky cliffs, and stunning views over the Inner Hebrides towards Tiree and Coll in the west and Jura and Islay to the south. We will take time to circumnavigate the beautiful little island of Iona, which has little coves, white beaches and great views of the Abbey. If conditions allow we will make the crossing over to the Treshnish islands and Staffa with the opportunity to paddle right into Fingal’s cave which is an unforgettable experience. The cave is formed from huge numbers of basalt columns. This feature carries on under the sea to end up at the Giant’s Causeway in Ireland. On both Staffa and the Treshnish Islands puffins can be seen busily flying to and fro from their burrow nests, whilst the seas around these islands are one of the best places to see whales and dolphins.